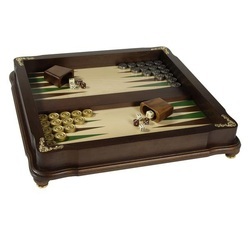 Did YOU find us Googling through the web looking for a Backgammon MONEY game? FAQ about our policy of not playing for money. Backgammon is it's own reward. Although Americans have cheapened it completely, bundling it's resurgence into the Hold 'em Poker phenom, Backgammon does not necessarily have to remain mired in that sickness to be enjoyed thoroughly. Whenever you feel good, do you want to gamble? Has your gambling led you to want to hurt yourself? After losing do you start over as soon as possible to win back your losses? Do you gamble to pay off other bills? Does your gambling money come from your everyday budget? If you answer yes to any of these questions, you might reconsider your gambling, according to experts on problem gambling. Do you ever borrow to pay for your gambling? Have you ever sold something in order to gamble? Do you have trouble sleeping due to your gambling? Do letdowns or disputes make you want to gamble? Pathological gambling is recognized as a medical disorder by the American Psychiatric Association and has elements of addiction similar to alcohol and drug addiction. 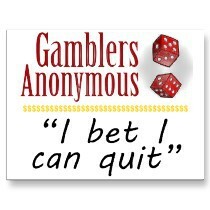 It describes a gambler who loses control over gambling behavior with damaging personal, social and financial effects. Very often, the pathological gambler suffers from legal problems. Because the gambler is losing control it is referred to by mental health practitioners as an impulse disorder. Mental health professionals see it as a complex disease often seen in conjunction with other disorders including depression and chemical dependency. Beautiful Craftsmanship can bring calm and appreciation of the finer things in life. Gambling for money stifles relaxation and may lead to psycho-social maladjustment, usually unleashing the impact of this behavior on the gaming victim's family, including children. Pathological gambling is a progressive disease, meaning that the symptoms will get worse over time.